When I first thought up the Live Lavishly Travel Challenge, in December 2016, I knew that I wanted to explore as much of Ireland as possible and Kilkenny was high on my list. 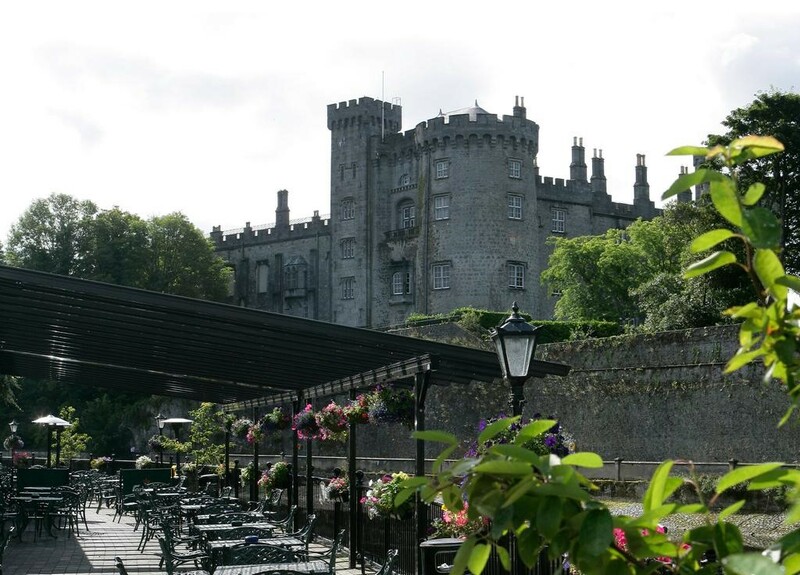 Just an hour and a bit’s drive from Dublin, there’s so much to do in Kilkenny; it really is the perfect destination for a weekend getaway. In saying that, Darren and I just went down for the day, as we were saving for our trip to China (a series of blog posts coming soon! ), but trust me, there’s still a lot you can do in one day in the Marble County. As I said above, Kilkenny is a short car journey from Dublin (about an hour and 30 minutes), but you can also get there by bus or train. It’s about €30 for 2 adults (return) by bus or €50 for 2 adults (return) by train, but the best thing about getting the train is that your tickets are flexible, meaning you can leave at whatever time you like on your chosen dates. Travel Tip: If you’re planning on heading to Kilkenny by bus or train, be sure to book your tickets at least a couple of weeks in advance. Kilkenny’s a very popular destination for weekend breakers, and train and bus tickets can sell out far in advance. Now remember, I didn’t stay overnight in Kilkenny, but Darren’s an absolute ninja when it comes to finding excellent, reasonably priced hotels (he swears by Booking.com). Here are a few of his top picks. Smack bang in the centre of Kilkenny, the Kilkenny River Court Hotel has a stunning view of Kilkenny Castle, but you do pay a premium for the privilege. Prices range from €150-€200 per night, which is a bit pricey if you ask me. Travel Tip: What we did, and what I’d recommend you do, is simply have a drink under the terraced (and heated) outdoor area. You get all the benefits of the spectacular view, but you still have a few bob in your pocket when you leave. The Kilkenny River Court Hotel also, quite often, run promotions. Check them out here. 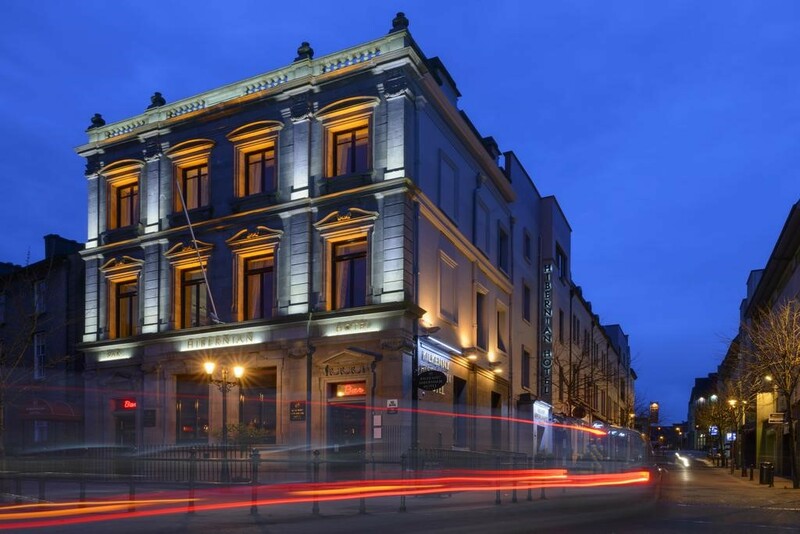 If the Kilkenny River Court Hotel is a bit too rich for your blood, the Kilkenny Hibernian Hotel might be the option for you. For an average price of €90 a night (for this price, they’ll even throw in a few sausages and rashers) you can stay in this clean, central hotel and save yourself the guts of €100 (compared with spending a night in the Kilkenny River Court Hotel). Travel Tip: If you’re booking a hotel in Kilkenny, or anywhere for that matter, be sure to book via a website that allows you to book with ‘Free Cancellation’. On Booking.com, you can book a hotel and cancel it days before you travel, if you find a cheaper one. Sometimes, you are able to cancel your original hotel and book the same hotel for a cheaper price (this is so satisfying, even if it’s only a tenner). Give it a go, they actually encourage it! You won’t be bored in Kilkenny. There’s loads to see and do, and there are so many bars and nightclubs – so it’s no surprise that it’s one of Ireland’s top destinations for Hens and Stags Parties. A girl’s gotta eat, and you won’t find a restaurant in Kilkenny with better reviews that Mocha’s Vintage Tea Room and Restaurant. We had a delicious lunch here, but they also cater for breakfast, as well as group bookings. If you’re looking for a perfect location to have a pre-Hen Party lunch, or somewhere to get a stiff glass of Prosecco the morning after, then look no further than Mocha’s Vintage Tea Room and Restaurant. The Kilkenny Road Train Tour really is well worth the money, especially if you want to fit a lot in in a short space of time. We finished our day off in Kilkenny with this and it was a lot of fun. The train takes you to all the historical landmarks Kilkenny’s got on offer, (including Kilkenny Castle), an automated tour guide explains what you’re looking at and traditional Irish music plays between your destinations. My favourite part was driving through the narrow alleyways; these alleyways were the width of one car and it was a two-way road. The driver zipped around the corners like Lewis Hamilton. 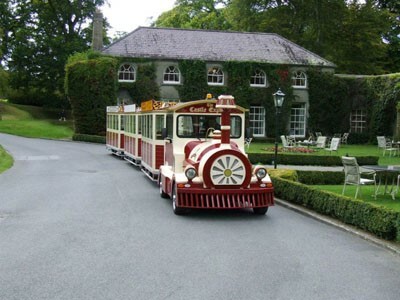 The last Road Train leaves from beside Kilkenny Castle at 5pm and it cost €8 each, but they offer family discounts. 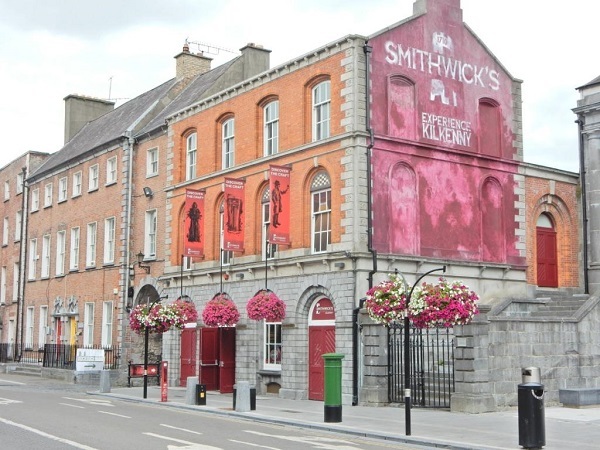 Unfortunately, we didn’t have time to do the Smithwicks Experience Tour on our trip and I was raging. Now, I know what you’re thinking, “I wouldn’t go near Smithwicks, so why would I go to see how it’s made”, but trust me, I said the same thing about Guinness when I was dragged to the Guinness Tour a couple of years ago and I must say, the Guinness Tour was so interesting and I’d imagine the Smithwicks Experience is a bit of the same. So, if you want to see how Ireland’s famous ale is made, and perhaps do a bit of taste testing, tickets are just €13 and you can them here. There you have it! I hope if you’re planning a trip to Kilkenny, you find the above information useful. I did enjoy Kilkenny, but I didn’t love it as much as I loved Donegal! Our trip to Donegal was unbelievable! You need to read all about it here. Subscribe to my newsletter below and you’ll be the first to know when Live Lavishly has a new blog post! I can’t wait to share my China blogs and videos with you all!